As I’ve mentioned before, I love favors. For a recent baby shower, I bought a few six packs of annuals and potted them in biodegradable pots to give as thank yous. The mass of favor flowers also served as an instant decoration, beautifully covering the cabinet in my entryway. 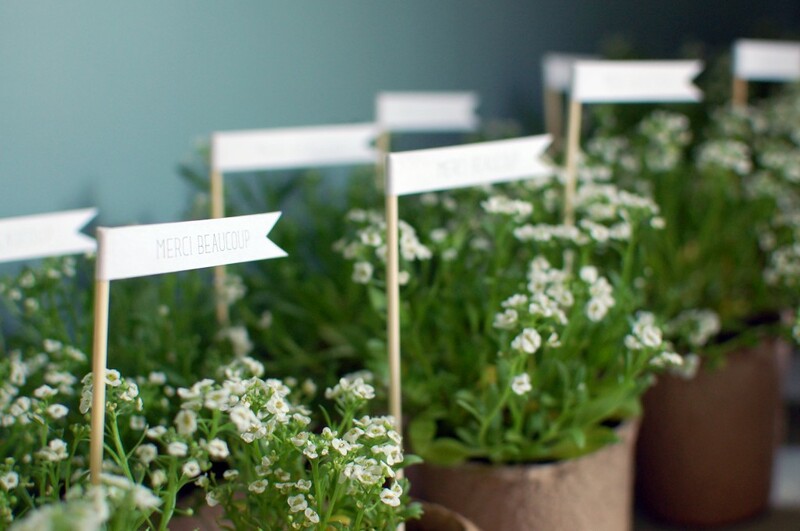 I added little “Merci Beaucoup” flags to the flowers, and they were so easy to whip up! (The flags were so cute that I made extras for labeling the various cheeses served at the party.) You just need ordinary copy paper and skewers. 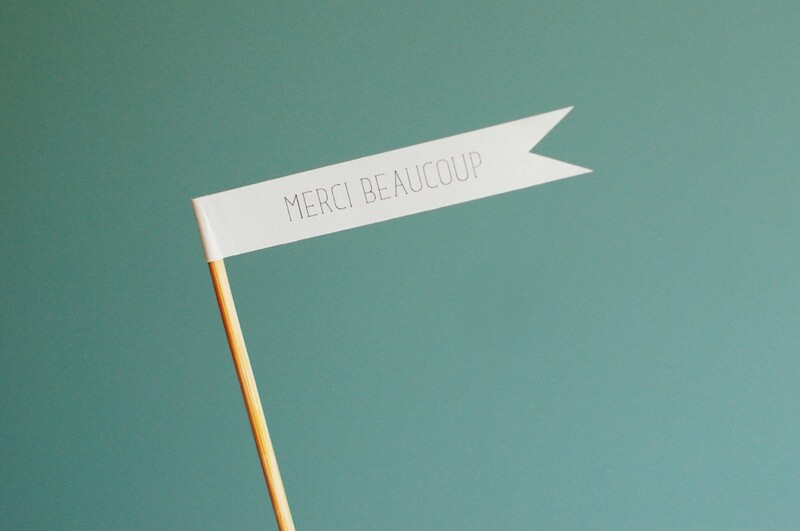 Print one of the flag templates (“Merci Beaucoup” or blank) on 8.5 x 11″ paper and cut the flags out. 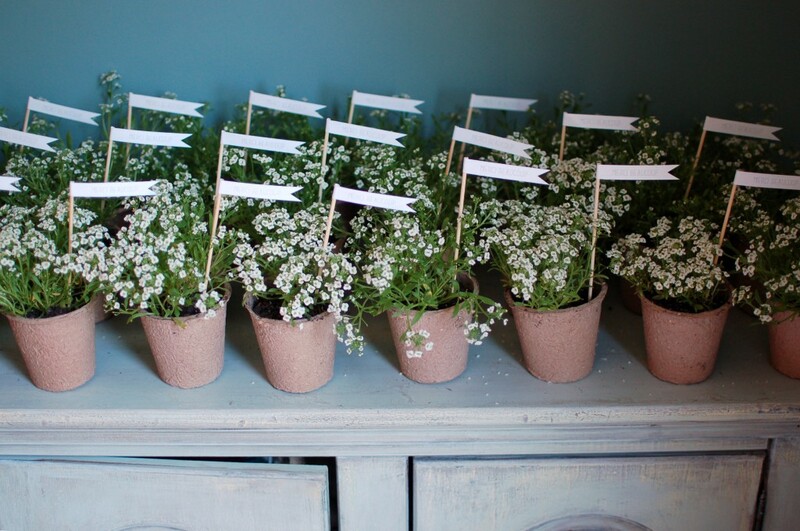 Write out your labels, if using the blank flags. Trim the flat edge of a skewer down to 6″ with pliers. 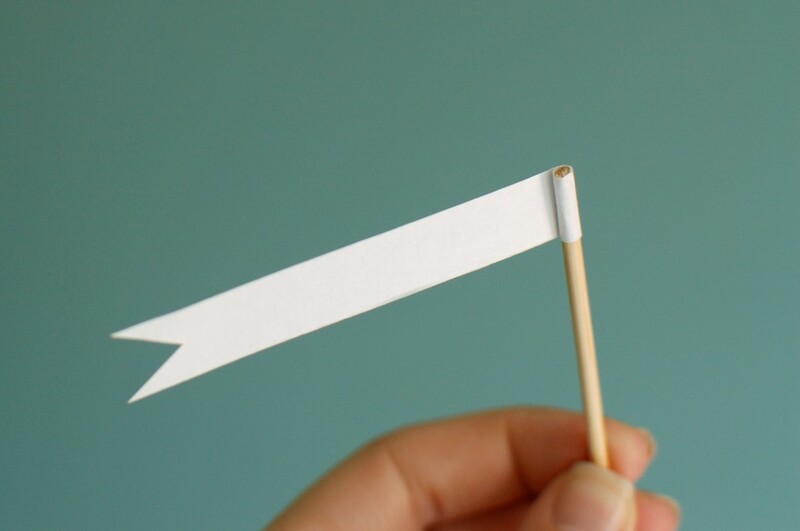 Dab a little school glue on the end of the flag and roll it around the top of the skewer! I love that biodegradable pots are small, rustic and affordable. 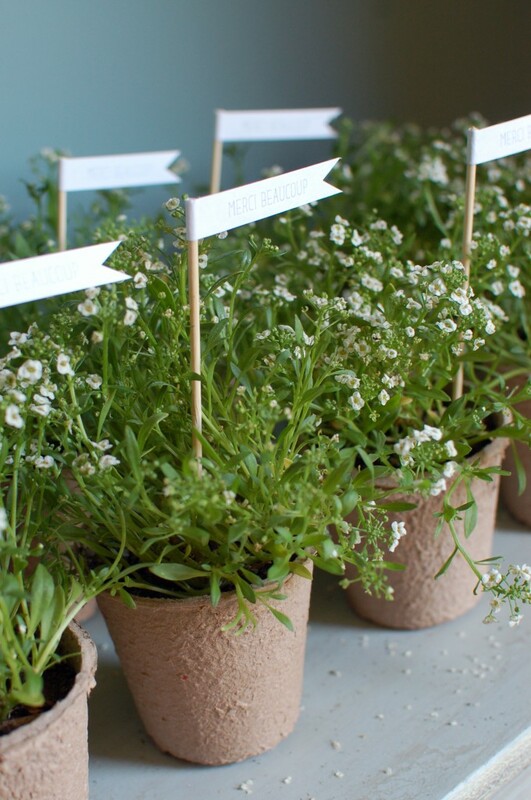 The tricky thing is that these pots are meant to dissolve in water, so it takes a bit of work to keep the plants alive without degrading the pot — even damp soil when potting them will make the pots soggy. They’d actually be better for succulents or other drought tolerant plants. I dried my damp pots in the hot sun before the shower, but the sun also took a few casualties! We planted a few leftover favors along the path to our front door, and they are thriving in their sunny spot. I love seeing them as I come and go and remembering both the baby shower and new family of three!